Research has shown that Hispanic women in the United States are diagnosed with breast cancer at more advanced stages and initiate treatment later than non-Hispanic white women. We investigated whether stage at breast cancer diagnosis and receipt of primary therapy differ by ethnicity and birthplace among US-born Hispanic, foreign-born Hispanic, and white women. We studied 31,012 Hispanic women and 372,313 white women with a first diagnosis of invasive breast cancer during 1988 and 2005 living in a SEER area. 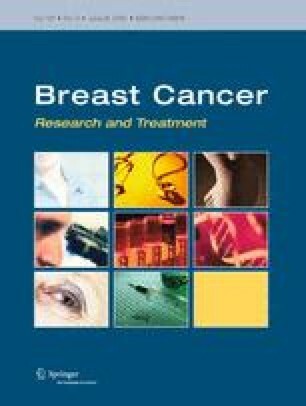 We used multinomial logistic regression to assess the association of ethnicity and birthplace with stage at diagnosis and, among women with stage I or II cancers, primary therapy [mastectomy, breast-conserving surgery (BCS) with radiation, BCS without radiation], adjusting for other patient and tumor characteristics. Rates of stage at diagnosis differed significantly by race/ethnicity and birthplace (P < 0.001). Foreign-born Hispanics had lower adjusted rates of stage I breast cancer at diagnosis (35.4%) than US-born Hispanics (40.6%), birthplace-unknown Hispanics (42.3%), and whites (47.4%). Receipt of primary therapy also differed significantly by race/ethnicity and birthplace (P < 0.001). Foreign-born Hispanics and birthplace-unknown Hispanics had lower rates of BCS with radiation (34.9%, 30.7%) than US-born Hispanics (41.5%) and whites (38.8%). Foreign-born Hispanic women in the United States have a lower probability of being diagnosed at earlier stages of breast cancer and, for women with early-stage disease, of receiving radiation following BCS compared to US-born Hispanics and whites. Identifying factors mediating these disparities may help in developing culturally and linguistically appropriate interventions and improving outcomes. This study was funded by Susan G. Komen for the Cure and used the SEER database. The interpretation and reporting of these data are the sole responsibility of the authors. The authors would like to thank Yang Xu, M.S., for expert programming assistance.